Today, I’m sharing photos from one of the first major renovations we’ve done to our home since purchasing it 10 years ago. I’ve wanted to share these photos since I started blogging over a year ago. What took so long? Well, you can probably tell that these photos came from a camera from 8 years ago. Although not the highest of resolution, I’m still glad to have these photos to share. Let’s start with the “Before” photos. You’ll notice that our old kitchen was in need of a total gut job! No DIY with this project. 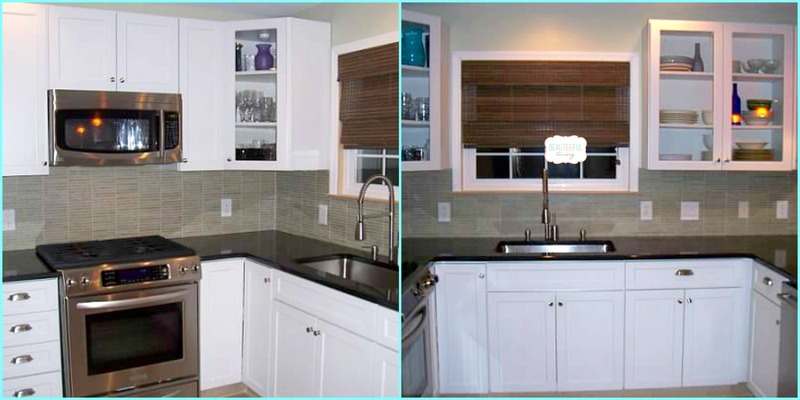 While my husband designed the kitchen plan, we hired professionals to do this kitchen renovation. 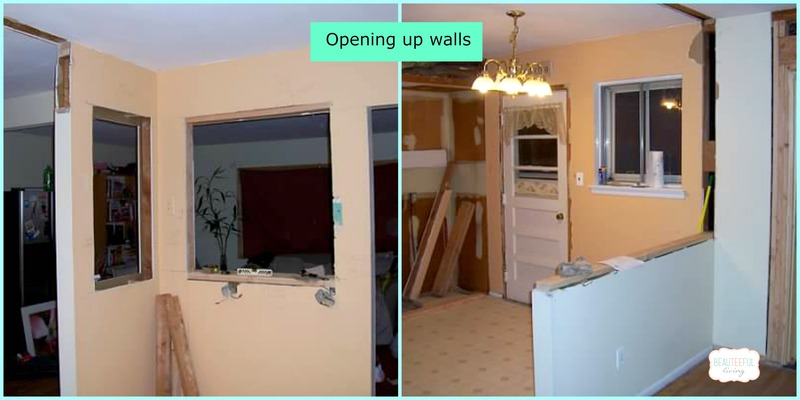 2) As you can see from photos below, our old kitchen did not have open views of our dining room and living room. That had to be changed! 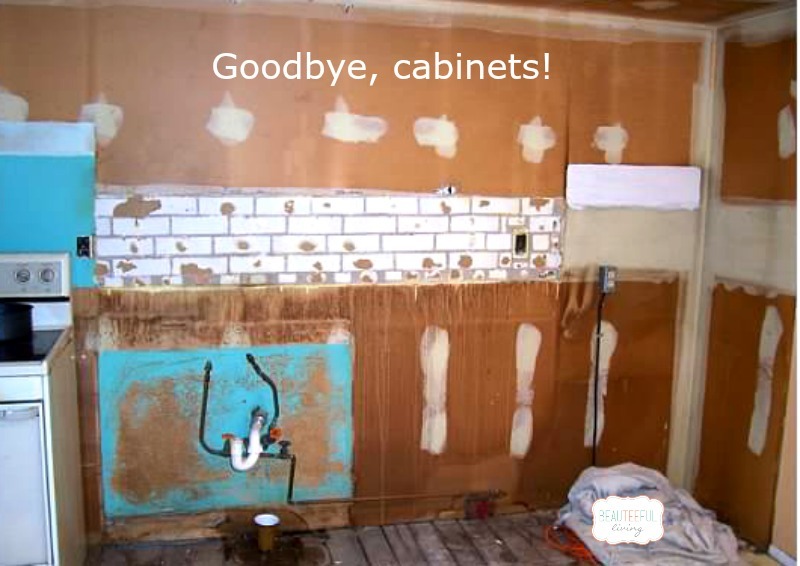 3) Bye bye, old cabinets and pipe lines! What a scary photo. 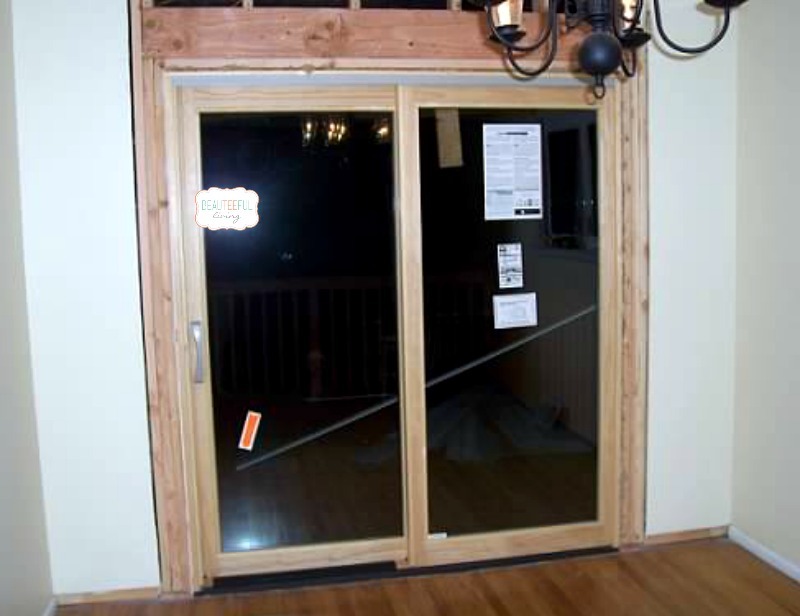 4) We had “window cut-outs” on the walls facing our living room. On the wall facing our dining room, we halved that wall to allow for a kitchen peninsula. 6) The AFTER PHOTOS now….Finally! Reminder: This renovation took place 8 years ago. 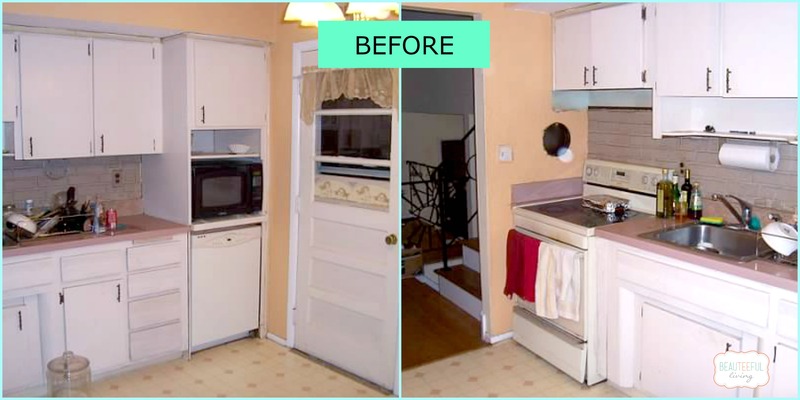 7) More photos of how our kitchen was completely transformed. We prefer the streamlined modern contemporary style. It’s been 8 years since these photos were taken. I can’t wait to share photos of how our kitchen looks today. Not to mention things we’ve learned through this kitchen renovation. Stay tuned for an upcoming post with new photos as well as more commentary on our kitchen renovation. Like this post or have a comment? I’d love to hear your thoughts. As always, thanks for stopping by! More fun posts ahead. Can’t wait to share! Xo, Tee. Wow such a big change from the before and after. Looks great! Wow, you’ve done a fantastic job on your kitchen – it looks great! It looks great!! I can’t wait to own my home so I can do the same! 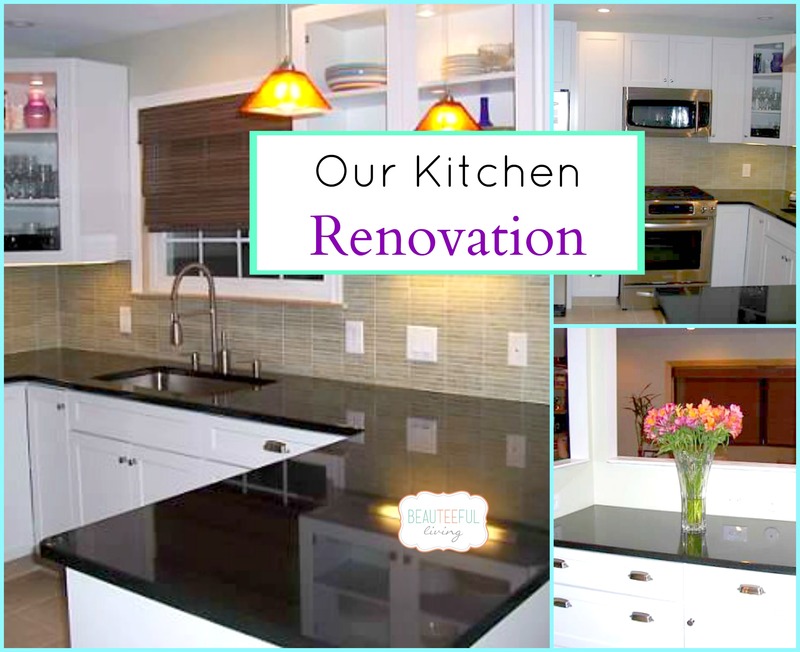 Beautiful kitchen renovation! I love the countertops. Your kitchen looks beautiful! I didn’t mind the “before” but the “after” looks fantastic! Love the appliance upgrade and I especially love the window cut outs. Looking forward to your next post! Love the before and after pics, looking forward to seeing how things have transpired over the years. I love both! I don’t think I would have been brave enough to take on such a task. Thanks for sharing… It looks amazing!! Wow – I love it! Very Modern. That looks amazing! You must LOVE it!! oh my that looks like it was a lot of work! It turned out fabulous!! Beautiful kitchen, very modern. Love the countertops. I hope to redo our kitchen one day. How long did it take to finish everything? Thanks so much, Thomasina. It took 4 weeks for everything to be completed. Love the slider! So pretty. And I love your remodel. Looks amazing! I love the backsplash you chose…that’s on my wish list for our kitchen! Oh my goodness, what a transformation! 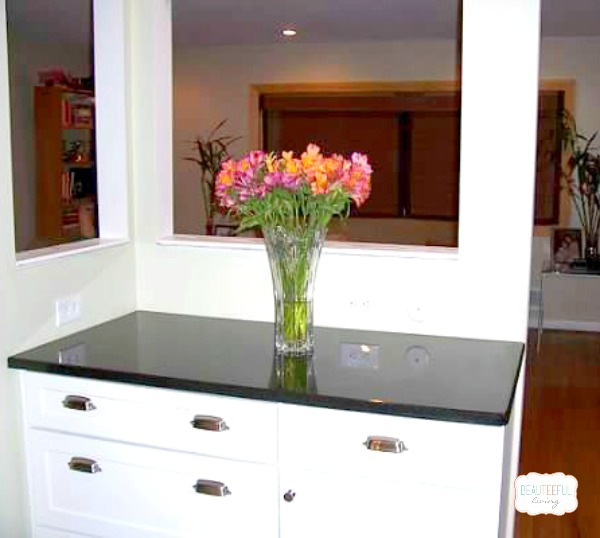 Your kitchen looks absolutely stunning now, I bet you are thrilled! Your kitchen looks amazing!!! I love the cut outs, I believe the kitchen.should be warm and inviting and you accomplished more than that! Congrats! Your kitchen looks great. Can’t wait to see what’s up and coming. The after pics look great, beautiful kitchen! So pretty, I love how it turned out! Great kitchen redo. I love the white cabinets and dark countertops. Light and airy and beautiful. It looks beautiful! I like that it’s very simple and has a lot of space to move around. Looks great then! I’m sure those 8 years just flew by! How completely exciting! I’m excited to see the changes, and I’m a wee bit jealous! I love this change!! You must be so proud of your kitchen now ! It looks great! But I bet you’ve made it even more “you” since then! What a great transformation. I bet you like cooking in there now. It’s so much brighter. Renos are always a challenge. Yours turned out beautifully. Love how it opens up to the rest of your home. Wow, that was a big undertaking. Nice job! I love the way you opened it up, the contrast with the black countertops is nice, and the recessed lighting is great. Huge improvement. I went through a huge kitchen remodel just over a year ago, and I’m so glad I did it! I find I’m so much more creative in the kitchen, don’t you? Wow, that is such a huge improvement! It feels like you added a ton of square footage because of the beautiful and bright cabinets. I cannot wait to see how things have evolved in it since you guys took these pictures! Thanks so much, Emily! Yes, the kitchen looks so much bigger after this renovation. Looks beautiful! I love the countertops! Thank you. So glad we chose the black granite to balance out the white cabinets. 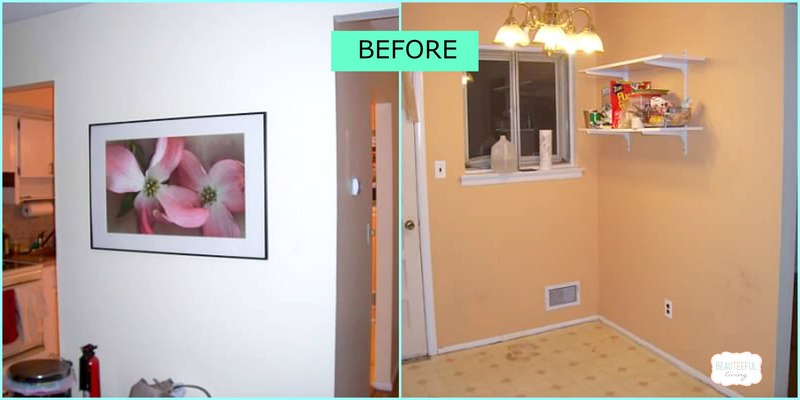 Your reno turned out absolutely gorgeous! I would LOVE a white kitchen but it scares me …. Thanks, Priscilla! There’s definitely more upkeep with white cabinets but they really make a room appear bigger than it is :). This looks so nice! So fresh and clean, I love it! Your kitchen looks gorgeous! You must be so excited! Hi, Tee! Your kitchen looks great! I love your backsplash! Thanks so much, Lauren. Definitely no regrets on spending money on this renovation! I’m surprised you liked the before photos too. Lol. Thank you for commenting :).